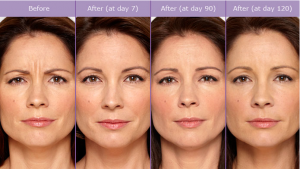 What happens during a Botox or Dysport treatment? You’ve spent more time squinting from the sun than you care to admit, it’s just a reality of life in Fort Lauderdale. All of that squinting contributes to wrinkling and crows feet. 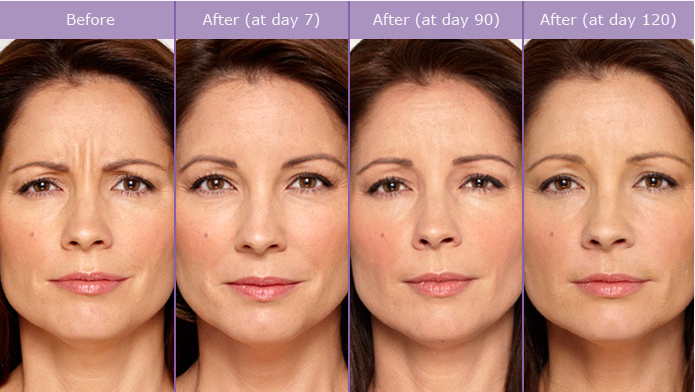 Here at VIP Aesthetics, Dr. Cosentino uses both Botox and Dysport for your wrinkle reduction needs. These medications are injected under the skin to partially and temporarily relax the underlying muscle. That relaxation prevents you from the squinting or scrunching that are the cause of the wrinkles while still allowing you facial expressiveness! Both Botox and Dysport are approved for cosmetic treatment of wrinkles. Botox is the brand name we have all known for years, but both products are made from the same botulinum toxin A. The proteins in both work by relaxing the muscle, but the protein in Dysport is smaller and so works a bit faster. Dr. Cosentino has been injecting both for years and will advise you about which he feels is best for your individual needs. 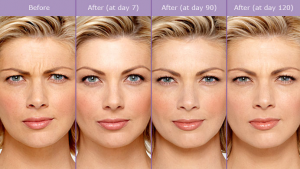 What can be treated with Botox and Dysport? Botox and Dysport can both be used to treat wrinkles in a variety of facial areas. Most popularly, they find use in the crows feet, glabellar area (the frown lines between your eyebrows), forehead lines, “bunny” lines (the wrinkles across the top of your nose when you scrunch your face), lip lines and marionette lines (corners of the mouth). Facially, they can also be used to help shape the eyebrow, to correct for drooping or asymmetrical eyelids, to address gummy smiles, to help a dimpled chin and more! They can also be used on the platysmal bands of the neck and to taper the face with masseter (muscle of the jaw) injections. 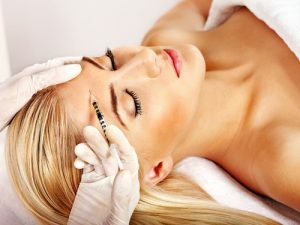 Botox can be used to do more than treat wrinkles. It has seen success in the treatments of hyperhydrosis (excessive sweat), migraines, neck pain and spasms, overactive bladder, head tilting, abnormal eye twitching or spasms, crossed eyes, muscle stiffness associated with upper limb spasticity and more! Dr. Cosentino will help determine what uses suit your needs and will be medically safe and effective for you. Like all of our cosmetic treatments, Botox or Dysport treatments begins with an in-depth assessment of your skin’s current state. Dr. Cosentino will assess the degree and depth of the wrinkles in question and work out how many units will be needed to address the issue. Finally, he will explain what he has found as well results you can reasonably expect. After the assessment is done, Dr. Cosentino will begin injecting the appropriate areas. Plan to be with us for at least an hour, depending on how many areas need to be treated. The actual time for injections is quite fast, but Dr. Cosentino likes to ensure that each of his patients is given a thorough assessment before treatment begins. As with most injections, the sensation is a sharp prick followed by a slight stinging sensation. Aside from some minor redness and swelling, most patients have no recovery time at all. VIP Aesthetics has several patients who come in for Botox or Dysport on their lunch breaks! The injections usually take between 3-10 days to fully take effect. There is a slight risk of allergic reaction and temporary bruising at the injection site. No. Botox and Dysport are not to be used by patients with a history of allergic reaction to botulinum toxin products or anyone who has an active skin infection at the proposed injection site. As the effects of Botox and Dysport are temporary, Dr. Cosentino suggests that patients come back if they start to feel uncomfortable with the wrinkling. The effects will wear off gradually and naturally usually within a year or so, and repeated injections are completely voluntary.